The speculation over whether or not the HTC Flyer would include a digital stylus in the box at launch was starting to boil over, so we reached out to HTC to see what they could tell us. Bad news folks – the Flyer will hit stores by itself without the fancy pen. The Stylus will be sold separately and they aren’t ready to reveal what pricing will be, although some trusty Android enthusiasts have already discovered that Best Buy is willing to sell it for $79.99. I understand you would like confirmation if the Digital Stylus would be coming with the Flyer. The Digital Stylus will be sold separately. We currently do not have any pricing information on how much the Digital Stylus would be. I appreciate your interest in the Android tablet known as the HTC Flyer and you were wondering whether the tablet comes with the magic pen or is this accessory separate. HTC unveiled the new HTC Flyer back in February and you are welcome to check out the press release from the worldwide HTC website at www.htc.com/www under the Home tab (http://www.htc.com/www/press.aspx?id=158016&lang=1033). Unfortunately, I do not have any other information concerning the magic pen and whether it would be an accessory included with the Android tablet. Update 2: Engadget has heard that only the Best Buy version will ship without a pen. And, that’s lame. 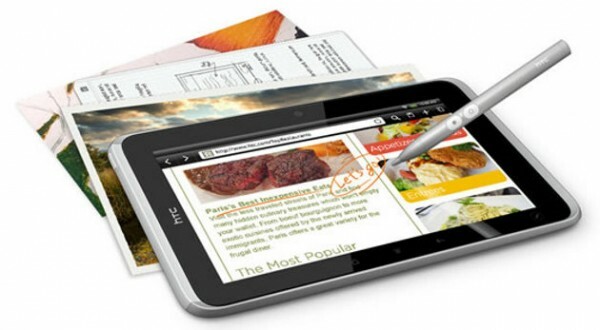 So if you are interested in this non-Honeycomb’d 7″ WiFi-only HTC tablet, you’ll be forking out $499. And if you want to draw all over it and leave your sweety little doodles while she’s taking bubble baths with Hello Kitty dolls, then that’ll cost you another $80 bucks. Still want one? I sort of do.